Awarded for excellence the Atlantica Thalassa Hotel holds a perfect location in the resort of Lambi close by to Kos town. Rooms are hold a fresh feel and if you're travelling as a family but still enjoy your privacy then opt for the Family Room, which offers two separated bedrooms. There's plenty of space in the pool to cool off during the daytime and the restaurant serves an international buffet to keep hunger away. A full activity program is on offer throughout the day and ends with some light entertainment from our resident team making the perfect background to work your way through the drinks menu. When everything has got to be right, it has to be the Atlantica Thalassa Hotel. 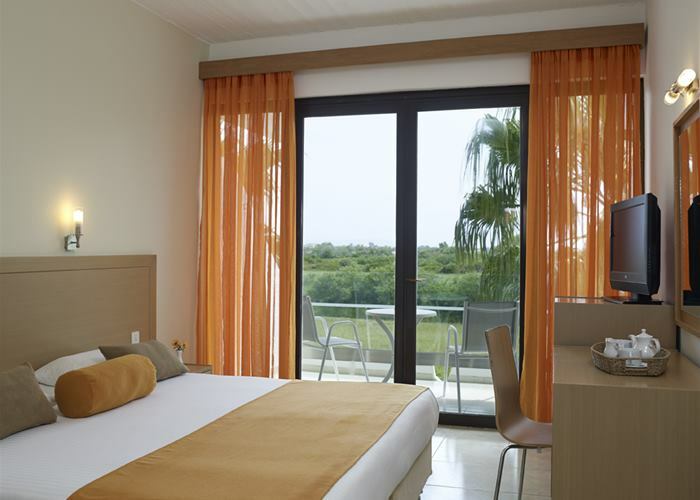 These rooms hold a bright and spacious feel with great comfort for some well earned holiday rest. All rooms have a balcony, twin beds and sleep up to 2 adults. 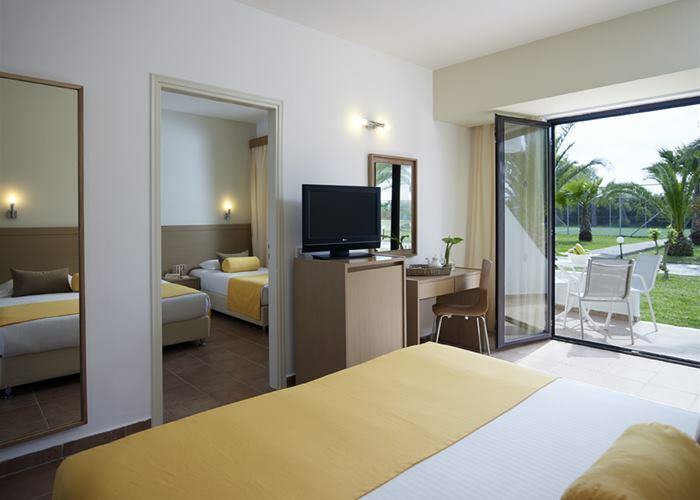 You'll find all the holiday essentials like mini fridge, LCD TV and air conditioning for your comfort. 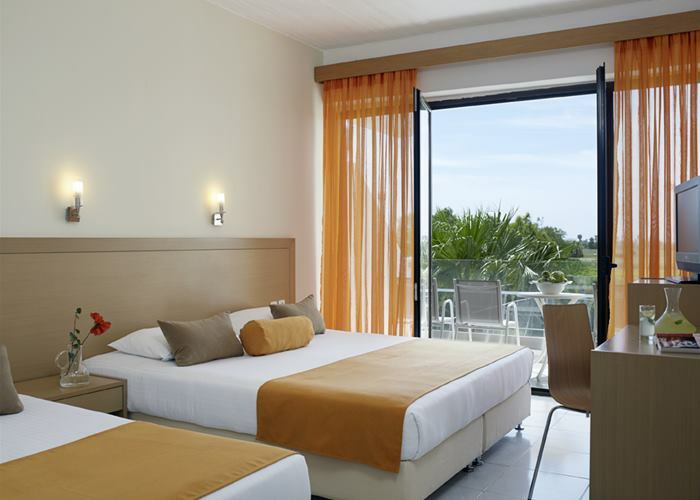 These rooms hold a bright and spacious feel with great comfort for some well earned holiday rest. All rooms have a balcony, twin beds and sleep up to 3 people including infants. You'll find all the holiday essentials like mini fridge, LCD TV and air conditioning for your comfort. Space is just as important as privacy when you're travelling with your family so we've combined two rooms in to one here with a door that can be closed between them. Situated on the ground floor they have a terrace to sit out and enjoy the climate. Sleeping up to 4 people you'll find all the holiday essentials like mini fridge, LCD TV and air conditioning for your comfort.